Thorny question: Desecrate the Holy Eucharist … or risk hurting a lesbian’s feelings? Just a few minutes before the funeral began, Father Marcel Guarnizo, who was presiding over the service, apparently learned that Barbara was involved in a romantic relationship with another woman. A lifelong Catholic and former Catholic school teacher, Barbara says she hadn’t even considered that her sexual orientation would be a problem with Father Marcel until she stepped forward to take communion. “He said, ‘I can not give you communion because you live with a woman,” Barbara says. Editor’s note: Act in haste … repent at leisure. Look for the priest to get hung out to dry over this one. 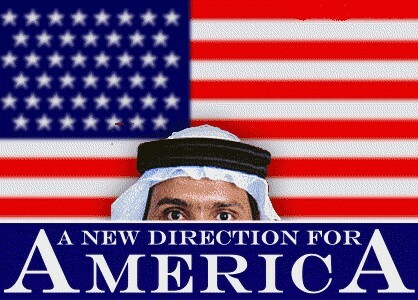 The Mohammedan Candidate: Under the Islamic doctrine of taqiyya [dissimulation], Muslims are permitted—in certain contexts, and even encouraged—to deny being Muslim, if so doing secures them or Islam an advantage. In other words, if an American president were a secret Muslim, and if he were lying about it, and even if he were secretly working to subvert the U.S. to Islam’s advantage —not only would taqiyya, or dissimulation, be justified by Islam’s doctrines of loyalty and deception, but it would have ample precedents, stretching back to the dawn of Islam. Muhammad, for example, commanded a convert from an adversarial tribe to conceal his new Muslim identity and go back to his tribe—which he cajoled with “You are my stock and my family, the dearest of men to me”—only to betray them to Islam’s invading armies. 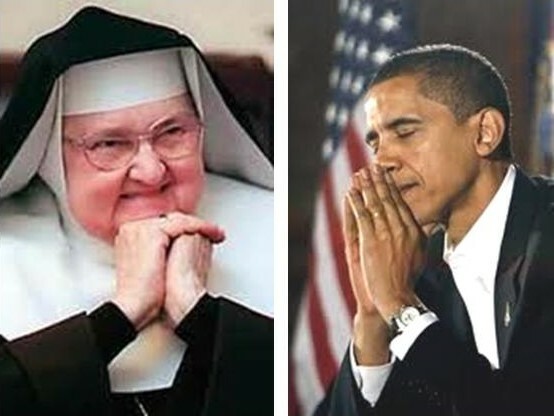 Mother Angelica vs. Barack Obama: an epic struggle! The latest American secularist onslaught against the Church, of course, is Obama’s recent edict that under his administration’s healthcare reform any provider of health care (including Catholic institutions) must be prepared to supply artificial contraception (including drugs which, though labelled contraceptive, are in fact abortifacient). I have recently written about this more than once. I now do so again to bring up to date anyone who has missed it, with one particular skirmish in the US Catholic fightback, that led by the redoubtable (and entirely admirable) Mother Angelica, founder of EWTN, who is now taking the fight against Obama to the courts. This page contains links to over a hundred classic Franciscan, Carmelite, and other authentically Catholic documentary works, including the complete Douay-Rheims Bible. Merrill: Bishops are engaged in the active global promotion of the sexual revolution – through agencies such as their own Catholic Relief Services. I have worked on and off in Africa, for “humanitarian” organizations, for some thirty years, during both Republican and Democratic administrations, and I have not seen that the U.S. Government’s efforts to promote the sexual revolution – with the willing cooperation of the U.S. bishops’ own overseas “humanitarian” organization, and of other “Christian” subcontractors – has varied much in intensity over those years. 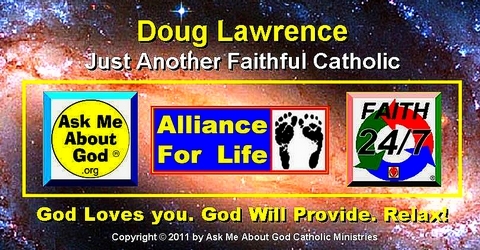 The “foreign aid” agencies of both the U.S. federal government and the USCCB (the latter a contractor of the former) are both “owned” and staffed by either secularists, or by fellow-traveling-sexual-revolutionist “Catholics” and other vaguely “faith-motivated” types. Regardless of the particular ideology of the sitting president or of the very-theoretical anti-sexual-revolution stance of the bishops, those agencies find ways to effectively advance the sexual revolution. Personnel is policy.